The Vorgee Deep Water Running Belt, also know as an aqua belt is a water aerobics piece of equipment that is designed for you to get an amazing workout with low impact on your body. It is to be worn around the waist whilst in the pool, preferable the deep end or where you can not touch the bottom. This way when you start running, you can not touch the bottom of the pool, therefore having no impact on knees, ankles and hips which is great when you have any problems with these areas. Designed for not only fitness but also rehab to strengthen joints when weak. When doing any type of rehab, the idea is to start off slowly without putting any real amount of pressure on the body part that you are having issues with. After a while, this particular area will strengthen and you can work out harder. Water is the best place to do rehab as the water works as resistance, yet does not put too much pressure on you body. Deep water running is the most popular way of water fitness and rehab. 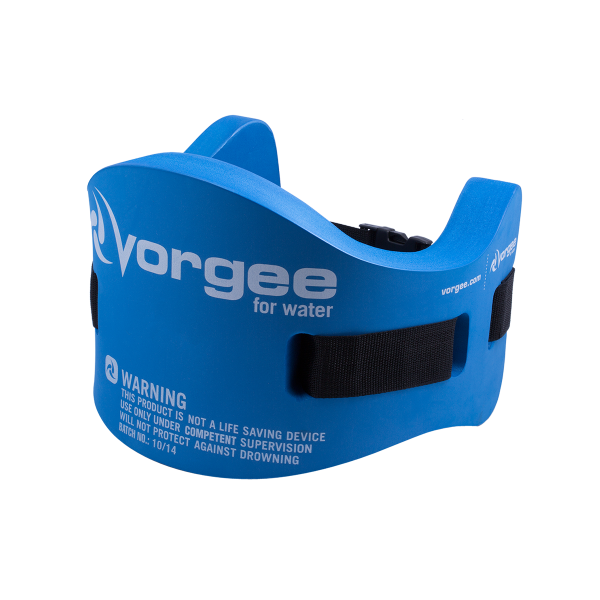 The Vorgee Deep water running belt is extremely popular with all ages as its a great fun workout when doing water aerobics. It is made with a soft and supple polyethlyene and is shaped to contour the body which makes it super comfortable to wear. The adjustable webbing belt allows you to get the best possible fit and the quick release buckle gives easy access in and out of the belt. If you are looking to get fit, loose weight or strengthen a weakened body part, grab a Vorgee Aqua belt, head down the pool and get running. You will be amazed with the results and how quickly you can get them.